I could have sworn that I had posted this one quite a while back but I can't find it. So posting again, or not, as the case may be. :? 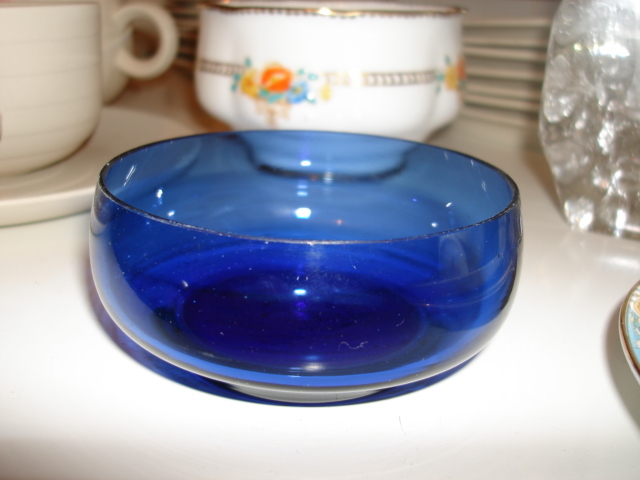 The glass is hand blown and polished creating three sides to the rim. 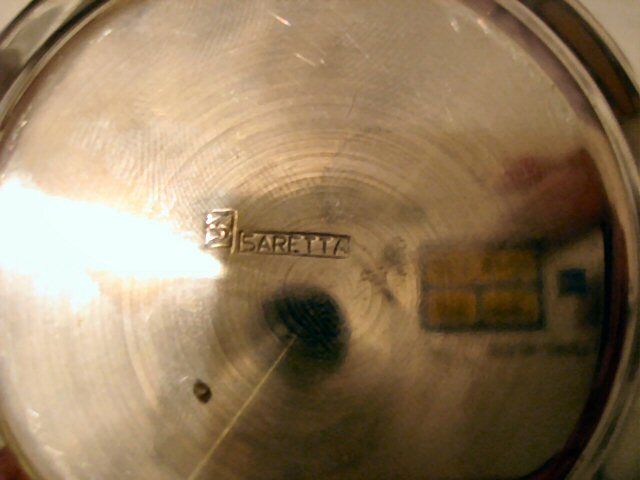 The metal base has an "S" Monogram and the word "Saretta". The metal lid has an opening for a spoon so it might be for jam. 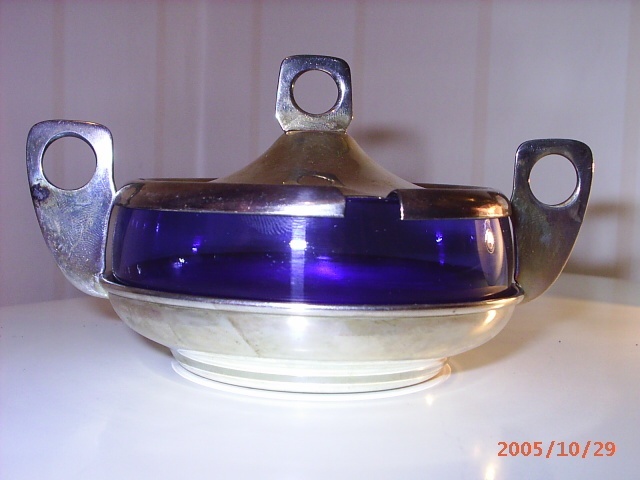 Bowl measures 9cm diameter and 4cm high. Any clues as to who Saretta is and who made the glass and where it comes from? Maybe jam or a small sugar ....one of those. Saretta is an Italian name. Altho found elsewhere the vast majority of hits are .it ....so maybe something to go on. Thanks, I've googled again but found nothing. Previously, I googled for it and the only thing I found was a leaf shaped silver plated dish on ebay. I remember, it was definetly part of a set as it was sitting next to another item with these handles but the liner and something else was missing so I just left it. More likely to be a suger in that case, probably. Perhaps Sarreta is a tradename for the company and the "S" is the initial of the firm, rather than the "S" for Saretta.